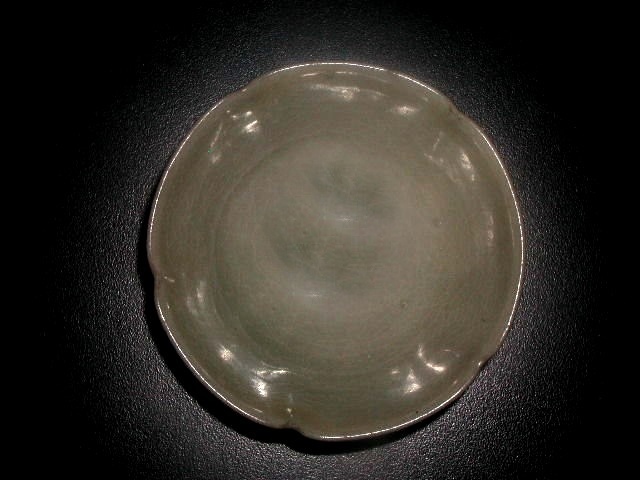 Top view of a five petalled celadon bowl with shallow foot rim. Five Dynasties to Northern Song Dynasty (10th-11th C.). D. 3.6 in (9 cm).